A few fish moving yesterday on the shore. Lovely fish, was it on a fly ? what do they call them in your neck of the woods ....sewin ? Been reports of quite a few getting taken in plenty rivers and real early for here.Hoping its a sign of a decent run as the last 4-5 have been dire. Finnock or Herling in Scotland! Mostly called Peal in England.....as above Sewin in Wales! The most beautiful of fish to me, I live 150 yards from the River Wear, a river than was probably the best in the UK for sea trout, but pollution, poaching, over fishing at sea, coastal netting and the fact that the EA do very little to protect them, I can see the sea trout becoming an at risk species and it is on some rivers. 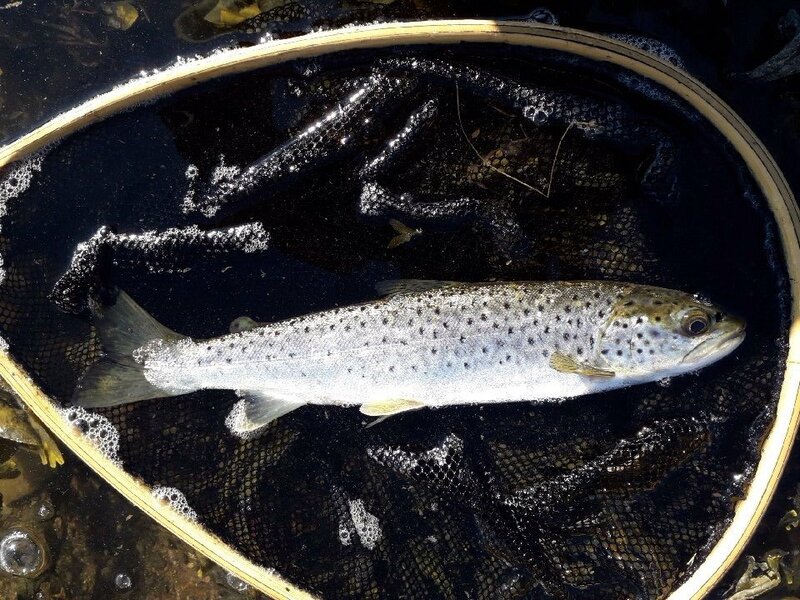 A few sewin been caught in my corner of West Wales last week. I hope to get out over the bank holiday. Nice fish well done.